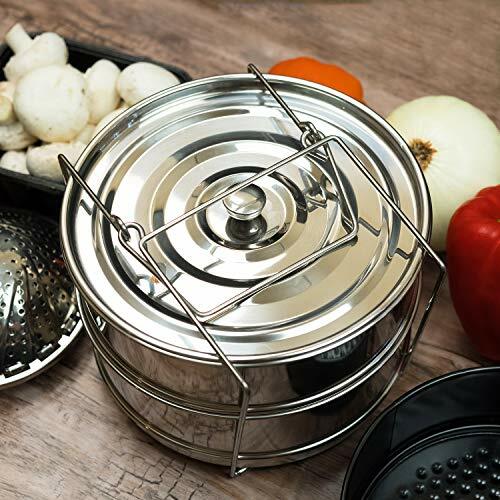 The ArkType Stackable Steamer Insert Pans Set allows your Instant Pot or other electric pressure cooker to handle all the cooking tasks of a full meal. 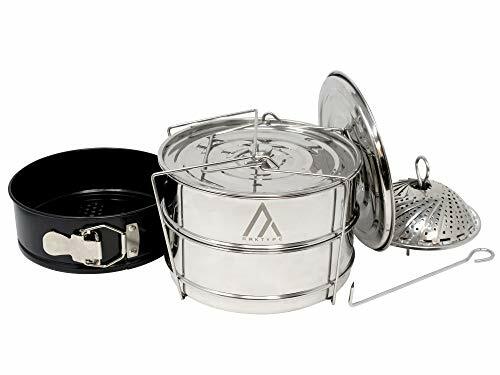 With 2 steel pots, leak resistant spring form pan, vented and solid lids, and foldable steamer basket, you'll whip up entrees, sides, breads and desserts with the ease of 1-pot cooking. Best of all, your family will enjoy delicious, nutritious meals that don't confine you to the kitchen. Arrange foods in the pans, insert the pans in your Instant Pot, set it and forget it! We use only the highest quality SS304 stainless steel to ensure long-lasting durability and strength. Unlike competitors' steamer baskets with thin-gauge wire lifting rods, ours boasts a heavy-gauge post fashioned from a single piece of metal. Along with a robust lifting rack and hook, this ensures easy removal of contents. 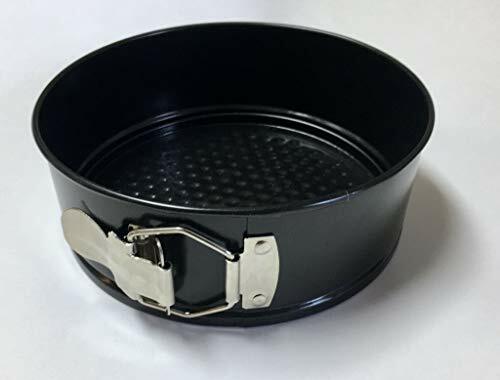 The spring form pan features a solid stainless steel clasp as well as non-stick neutral black coating. All components are rustproof, stain resistant and dishwasher safe for fast clean-up. This multifunctional stackable insert set gives you mouthwatering options such as casseroles, vegetables, hard boiled eggs, potatoes of all varieties, flan and cobblers like a world-class chef. You can also make leftovers taste as great the second time around, without using a microwave oven and sapping the vitamins and minerals from foods. Turn your electric pressure cooker into a full-service kitchen. 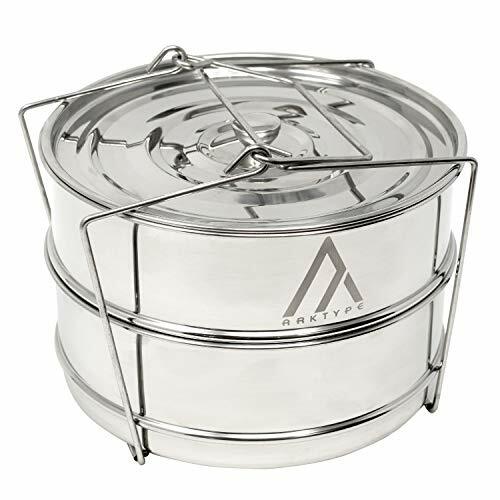 Add the ArkType Stackable Steamer Insert Pans Set to your cart today. 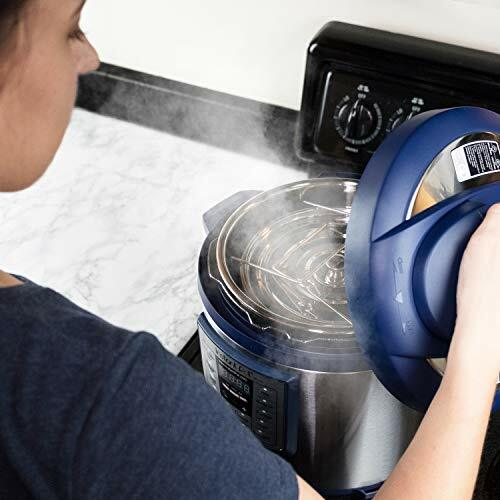 ENJOY MEAL VARIETY with this multifunctional steamer insert set. Two high grade stainless steel stackable pots. Two lids, one vented and one solid with a lifting knob. A multi purpose lifting rack. A leak resistant, non-stick spring form pan. A high grade stainless steel foldable steamer with lifting hook. All empowering you to make lasagna, cornbread, stuffing, scalloped potatoes, cheesecake and so much more with ease. 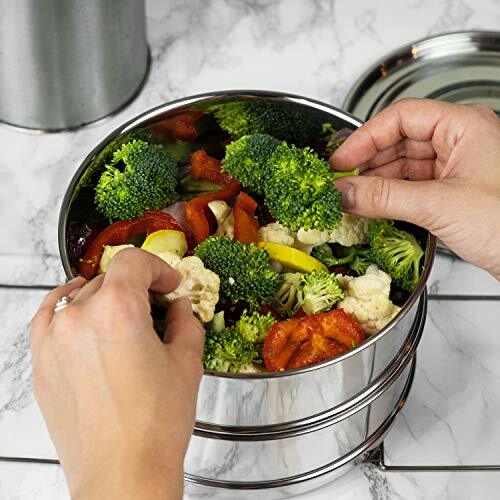 DURABLE, RUSTPROOF SS304 stainless steel is food-grade, stain resistant and dishwasher safe for easy clean-up. The ArkType Steamer Insert Set is a must-have addition to your 6- and 8-quart electric pressure cooker accessories. ESCAPE THE KITCHEN with 1-pot meals that are delicious, nutritious and satisfying. 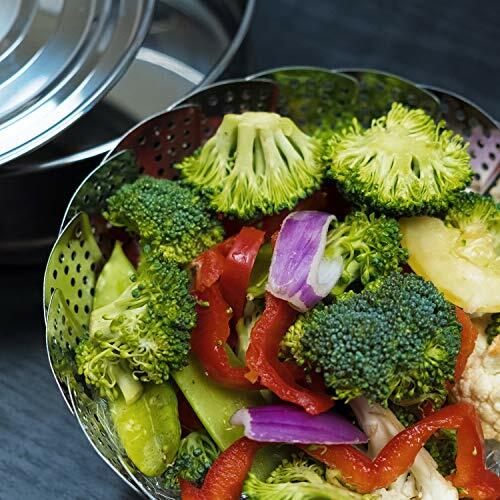 With ArkType Insert Pans, you can say farewell to the days of watching numerous pots and pans to get everything to finish cooking at the same time. 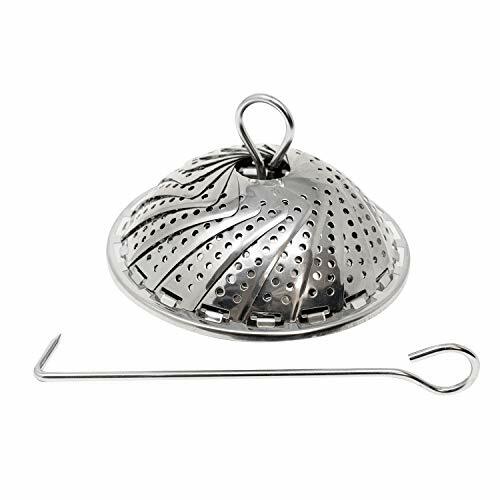 RELIABLE, HEAVY-GAUGE single-piece lifting post and lifting hook allow you to remove the foldable steamer from your pressure cooker with confidence. Serve up piping-hot meals without spills and messes. 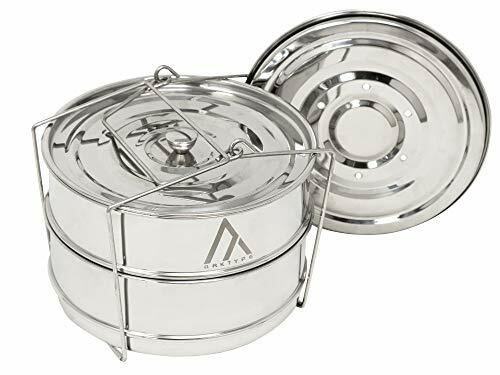 TRANSFORM YOUR INSTANT POT OR PRESSURE COOKER into a micro kitchen with the ArkType Stackable Steamer Insert Set. Steam, cook and reheat meats, vegetables, rice, fish and while retaining all of their flavor and nutrients. If you have any questions about this product by ArkType, contact us by completing and submitting the form below. If you are looking for a specif part number, please include it with your message.